In Misurina you can ski on Col de Varda or at the Loita ski school area. Natural snow cover for the whole ski season makes Misurina a winter sports paradise. 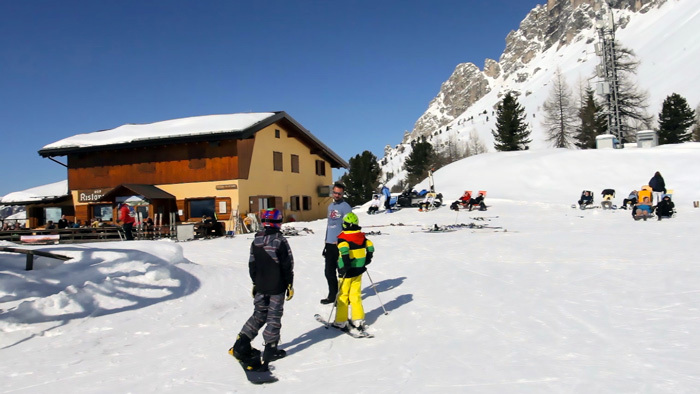 This, together with the south facing position of the slopes and their altitude – from 1756 to 2106 metres at Rifugio Col de Varda at the top of the slopes – means that you can ski in the sunshine with excellent snow conditions from December to Easter. The Loita ski school area is served by large car parks which are the starting point of the Nordic ski slopes and the road which climbs to Monte Piana with its snowcat service and toboggan descents.